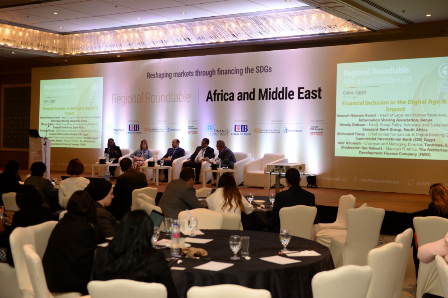 UNEP FI’s first Regional Roundtable on Sustainable Finance for 2019 took place in Cairo this week with more than 220 delegates and speakers. We opened with a first, holding an event that brought together insurers from all over MENA – the Principles for Sustainable Insurance Market Event for Egypt. Hosted by the Financial Regulatory Authority (FRA) of Egypt, over 70 CEOs and senior level insurance executives from the region got together to discuss the future of sustainability in the insurance industry. As the meeting closed, FRA Chairman, Dr. Mohammed Omran stressed the importance of having a National Strategy for Sustainable Development in Egypt. Such a strategy, he said, will be essential to preserve the resources of the current generation and without prejudice to the rights of future generations starting with financial services. 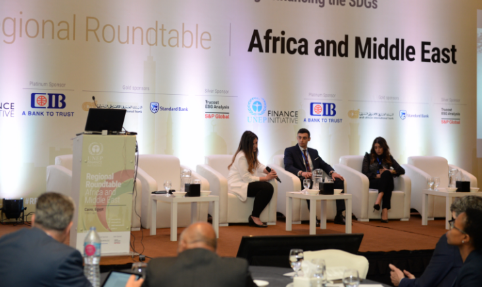 On 10 and 11 April, the Regional Roundtable for Africa and Middle East brought together the local sustainable finance community to drive the sustainable finance agenda in the region, collectively work to achieve the Sustainable Development Goals and finance climate mitigation and adaptation strategies. 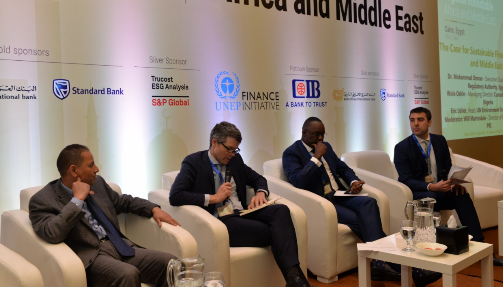 Leaders from across the region, including the FRA Chairman, Dr Mohammed Omran, UNEP FI’s Eric Usher, PRI’s Will Martindale and Custodian & Allied’s Wole Oshin made the business case for sustainable finance in the first plenary panel. Wole noted that Nigeria is the first African country to issue Sovereign Green Bonds and the proceeds helped meet their Nationally Determined Contributions. He also said that regulators in Nigeria require the industries to integrate ESG by 2019. The call in Africa is to implement ESG by regulation, but for it not to be a box ticking exercise. This will be crucial to reduce poverty. The event also saw discussions between AfDB and FMO around how development banks can develop financing models to achieve the SDGs with FMO’s Bas Rekvelt stating, “The 3 most important SDGs are Reduced Inequalities, Climate Action, and Good Jobs and Economic Growth. They are core to our strategy where we can add value.” He added that the banks that they work with are the frontrunners in their markets. 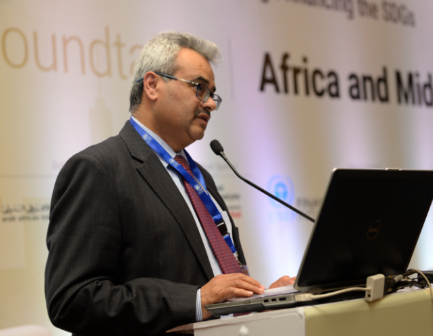 The event also marked the launch of the first sustainability report by the FRA, which will be the first of its kind in the developing world, demonstrating the leadership of the Egyptian regulator which falls in line with Egypt’s 2030 vision. Read more about the report in Arabic here. One of the highlights of the Regional Roundtable was a keynote from H.E. 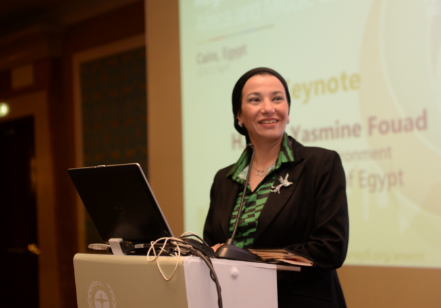 Yasmine Fouad, The Egyptian Minister of Environment on the morning of the second day. She emphasized the importance of mainstreaming sustainability into development planning saying,“Banks and financial institutions are key, and regulators are vital”. Feedback sessions on the draft Principles for Responsible Banking were another key highlight, inspired by a conversation between Eric Usher and Bennie van Rooy, the CEO of Landbank discussing the importance of sustainability within banking, and the need for developing the Principles. The event also saw the participation of seven of the region’s banks all of whom are part of the core group of 28 banks developing the new sustainable banking framework. KCB’s Judith Sidi Odhiambo urged other banks in the region to sign the Principles and said “In the next 3-5 years we hope that sustainability will not be an add-on initiative but will be mainstreamed throughout financial markets”. The key role of financial centres in greening the economy was also discussed, with representation from Abu Dhabi Global Market (ADGM) and the Nigerian FMDQ OTC Securities Exchange. 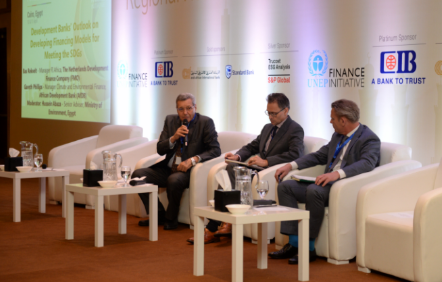 UNEP FI would like to thank Commercial International Bank (CIB), Arab African International Bank (AAIB), Standard Bank and Trucost for supporting the conference and to all our delegates for attending and helping to make a big contribution towards integrating sustainability into the region’s financial institutions. View photos from the conference here.